Dolley Madison was our nation’s first First Lady—that is to say, she was the first wife of a president to be known by that designation when Zachary Taylor referred to her as such in the eulogy he delivered at her funeral. During her husband’s two administrations, she became renowned both for her political acuity and her frequent sponsorship of social events (she oversaw the nation’s first official inaugural ball). 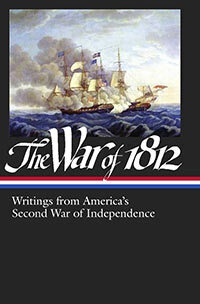 When the War of 1812 intensified as the British raided coastal cities from Florida to Maryland, she refused to abandon Washington and reassured acquaintances that the enemy would never get within twenty miles of the capital. “I am not the least alarmed at these things,” she wrote to a friend. Two hundred years ago, on August 17, 1814, British forces under Major General Robert Ross arrived at the mouth of the Patuxent River (a tributary of the Chesapeake Bay). “All President Madison could do,” writes historian Thomas Fleming, “was call out thousands of militia. The commander of these jittery amateurs was Brig. Gen. William Winder, whom Madison had appointed largely because his uncle, the governor of Maryland, had already raised a sizable state militia.” On the morning of August 23, the president sent the First Lady a short message saying that American forces were “in high spirits” and the enemy’s approach was of little concern. “The last & probably truest information is that they are not very strong, and are without cavalry or artillery, and of course that they are not in a condition to strike at Washington.” But that afternoon he sent off a second note retracting his original assurances. The next day the feeble American forces were soundly defeated at the Battle of Bladensburg, opening the road to Washington. On August 24–25, the British occupied the capital city and burned public buildings—including the White House. In this week’s selection, a letter Dolley wrote to her sister late in the day of the evacuation, she describes her role in the rescue of an iconic painting of George Washington. This canvas, a replica of Gilbert Stuart’s “Lansdowne Portrait,” is believed to be one of several copies painted by Stuart himself and it still hangs in the White House to this day. 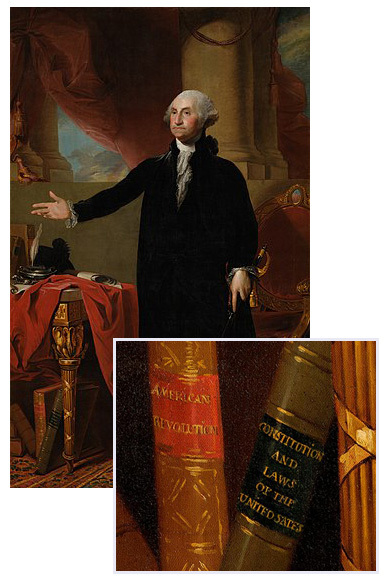 (There is some doubt about its provenance, in part because Stuart disowned this particular copy soon after it was purchased by Congress in 1800.) The original painting was commissioned in 1786 as a gift to William Petty FitzMaurice, who, as British Prime Minister in 1782–83, finalized the Treaty of Paris that brought the American Revolution to an end. He was then made Marquess of Lansdowne—thus the name used to designate the portrait. It has often been stated in print, that when Mrs. Madison escaped from the White House, she cut out from the frame the large portrait of Washington (now in one of the parlors there), and carried it off. This is totally false. She had no time for doing it. It would have required a ladder to get it down. All she carried off was the silver in her reticule, as the British were thought to be but a few squares off, and were expected every moment. Notes: Charles Carroll, mentioned in the letter, was “a gentleman intimate in the President’s family,” in the words of the doorman for the Executive Manson. Many years later, various counterclaims arose about the rescue of the Stuart portrait and Carroll’s son insisted that his father had rescued the painting. The two gentlemen of New York are Robert Gilbert Livingston de Peyster and financier Jacob Barker.